Get all three videos to save time and money and get your drum kit tensioned quickly! Get all three videos sent to you on a DVD! Drumming equipment that I have used and will recommend. Music that has my drumming in it. Do you have a song that needs some dynamic drumming? I will record the drum part in any style you want, including Bonham style playing. The drum kit used is up to you, I have a Bonham kit and a smaller more contemporary type kit, both Ludwig classic maple shells with Paiste cymbals. It's entirely up to you! MORE DETAILS. If you are interested in learning drumming techniques seen here, I'll be offering specific instructional videos as collective downloads. See here for more information. Would you like to jam along to some music minus the drums? Download as many as you wish for FREE! Want to download some great drumming? Gene is considered the "KING" of drumming! FOR IMMEDIATE RELEASE LEGENDARY ROCK DRUMMER VINNY APPICE TO CONDUCT AN ONLINE MASTER DRUM CLASS AT GoDpsMusic JANUARY 11TH 2014 1:00pm-3:00pm(PST). The Buddy Rich 25th Anniversary Memorial Concert takes place for the first time in the UK at the world-famous London Palladium on 2nd April 2012. Ludwig introduces New Atlas Hardware! Ludwig has outdone themselves with their new Atlas hardware line, introduced at the 2012 NAMM show. You HAVE to check out the material Atlas hardware is made from as well as the great design features. The Institute of Contemporary Music Performance is delighted to announce that it will once again be supporting the UK’s biggest unsigned music competition, ‘Live and Unsigned’, which has just been launched for 2012. Drum Channel has launched a global competition to find the best drum soloist on the plant, with a cool $1000 first prize. Wherever the gig, Protection Racket case are built to last, light, tough, road tested, clean and simple and come in a range of colours, Black, Aero Brown, Funky Green and Steel Grey. Handcrafted, American-made Legacy Classic line is based on a new and improved version of Ludwig’s legendary, reinforced 3-ply drumshells. Founded by Queensryche drummer Scott Rockenfield, RockenWraps let you make your drum kit stand out with unusual and colorful finishes that you can apply yourself. Looking for the perfect cymbal stick? Check out Regal Tip's new "Ping" model. Here's a stick that literally dances on your drums and makes your cymbals sing. Three new drum kits are joining Taye's lineup, ranging from an oversized five-piece set to an expansive fifteen-piece setup. Tama introduced a pair of new limited edition TotalWood snares, both featuring maple shells with either cherry or maple hoops. Styled after a drum set played by John Bonham, the Amber Vista-Lite "Zep" set offers a striking visual flair and is available as a shell pack or complete with hardware. In celebration of their 95th anniversary, Ludwig has created the L2004 Special Edition Snare, recreating the look of a 1920's snare with cherry stain and brass hardware. Sponsored by some well-known Berklee alumni, you can win one of five scholarships for a year's online classes plus necessary textbooks and materials. Last update: April 15, 2016. 2016 April - A very useful Drum Set Equipment area that will inform you all of the details behind the various materials and construction that make up a kit. 2015 November - The About page was updated to include the recording equipment I use. 2015 April - The Trans-Neptune Trajectory is a unique CD that features my drumming. It is now available to be downloaded. 2015 April - Added a new category to the site entitled "Music". 2012 October - Tuning the Kit on DVD is now ready for shipping. 2012 October - Online Session Drumming NOW available! 2012 October - Private Drumming Lessons NOW available! 2012 September - Contemplating re-doing "tuning the drums" series using HD cameras. I will offer this revised series to be available on a DVD that would be sent right to your door! Stay tuned! 2011 November - Added 25 new drumless tracks for a total of 100 songs to jam along to. Enjoy! 2011 Sep - Completed the third and final in the tuning series, tuning the toms. 2011 July - Added 11 new drumless tracks. Enjoy! 2011 June - Setup a better way to download the free drumless tracks. 2011 Feb - Started a new section where you can download some great drumming! 2011 Jan - The Drum Stick Saddle is now available for sale. 2011 Jan - A new section has been created that features drumming gear I have used and would recommend. 2011 Jan - Lesson 5 - Paradiddle-diddles is a great pattern you can use to play triplets effortlessly. 2011 Jan - Lesson 4 - Bouncing the Bass Drum is done and targets getting speed on the bass drum. 2010 Sep - Completed the second Drum Tuning Video on the snare. 2010 May - Completed the first Drum Tuning Video. 2010 March - Added some pictures from the past. 2010 March - Many links to books on developing rudiments have been added. 2010 February - The orginal 26 essential rudiments have been posted for downloading. 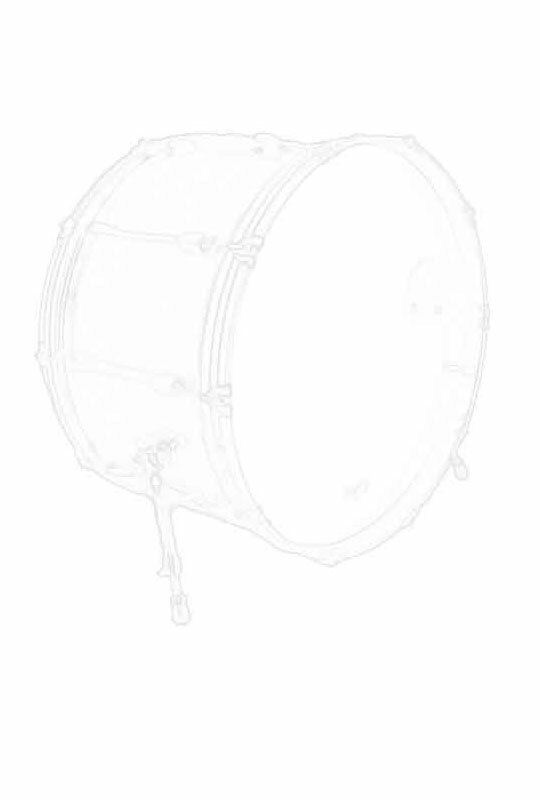 2010 February - Added a new section filled with downloadable Drumless tracks. 2010 February - Uploaded files for new site but some sections are still under construction. 2010 January - Upgraded web server to dual Nehalem, (industry leading processor) with 8 cores and 8 GB ram and raid 10 file storage. 2009 December - Ideas for the new web site begins.